Regular maintenance and repairs in a room are mandatory to maintain its original look and feel. The room’s walls and everything in it would fade over time and become dull if you did not maintain it. The latest trends in remodeling your room without having to sweat a lot for extra money and work too hard is known as “Micro-renos”. Vault Interiors’ director and chief stylist Justin Stedman gives us a lowdown of how you can easily remodel your room in a weekend. Ensure that there is light. Light is an incredible factor that needs to be put in place when thinking of remodeling your home or room. Light includes both natural and artificial light. By providing additional illumination to your room, you would be improving on the illusion of more existing space. To some point, the color of the light would also be an issue of concern with regards to the mood of the room. Try and establish a soft glow in the evening by setting up table lamps, pendant lights, and funky floor lamps. You can enhance on this by installing a decorative light bulb or shade. Move one or two things from one point to the other. If you are not sure of what you should do because you are working on a tight budget, worry no more. All you need to do is figure out how to move one piece of furniture from a given point to the other. By simply doing this, you would be breaking the monotony of the room therefore change the look and feel of your room. Think of how you would create a new layout that is favorable in all aspects. You can flip the sofa, move the armchair, or by changing the position of your entertainment unit. 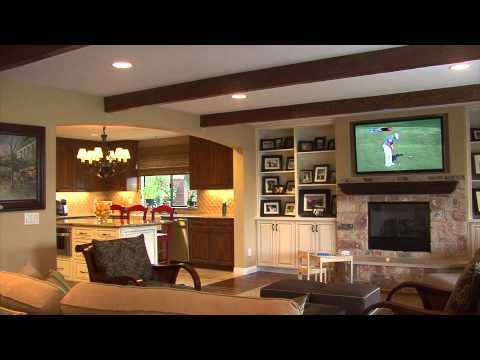 You would be surprised to find out that there are numerous styles of redesigning your home. Interior designing and painting expert, Justine, stated that you can add a remarkable impact on the appearance of your room just by choosing a good accent color and using it all through the area. It is best to do this using smaller touches of paint rather than painting the wall. Try and introduce patterns, throws and accessories. The good thing about these changes is that they are adjustable according to the evolution in trends. The curtain is an important aspect to consider so that the room will be bright and appealing. 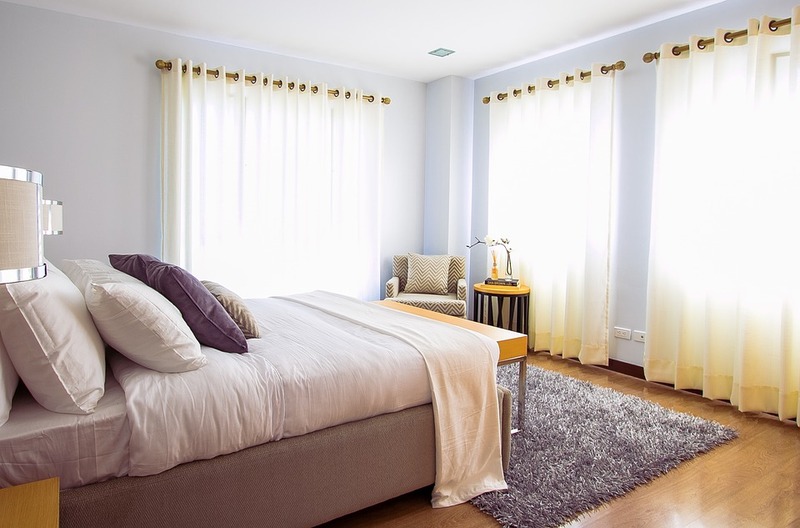 Ensure that you change your curtains at certain intervals to make sure that the room does not become dull. Even as you do this, ensure that you replace existing curtains with those that are brightly colored. It is advisable always to ensure that your room remains in clean shape. You may come across wood chippings and broken edges. Refurbish any areas that appear to be outdated. You can do this by painting and replace such areas. With the tips mentioned above for remodeling your room, you are guaranteed of a continuously appealing place. Often, manufacturers and sellers confuse and trick buyers into buying their flooring merchandise, believing that these products are eco-friendly as they claim to be. To avoid regrets, customers must run a background check of the product first before diving into the wrong decision of buying the so-called “green” flooring. Whenever you’re planning to buy bamboo flooring or any other flooring produced from natural vegetation, it is imperative to ask the supplier of the Volatile Organic Compound (VOC) content of the product. A typical example of VOC is formaldehyde. Most plants naturally contain formaldehyde. 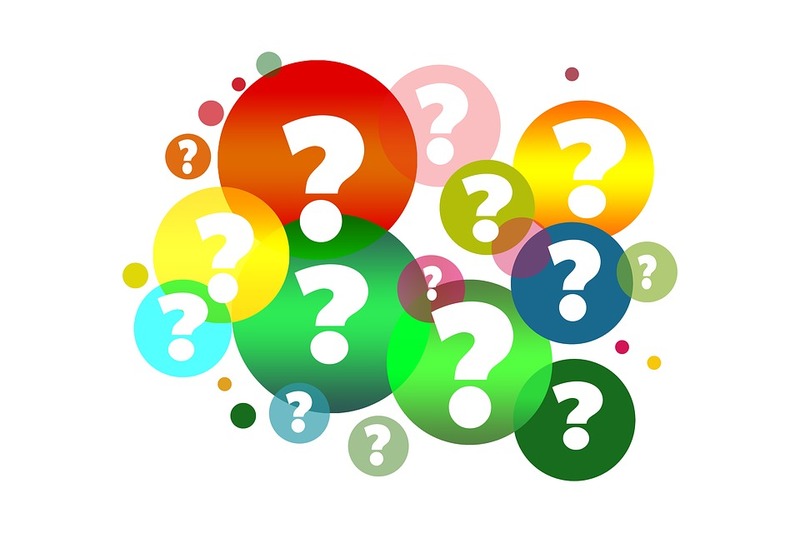 The question is in the type and amount of formaldehyde that occurs in the products. Phenol formaldehyde, which is more expensive but considered non-toxic, is used in some floorings. Urea formaldehyde, on the other hand, is hazardous to human health and is believed to be carcinogenic. Formaldehyde is measured in parts per million since they are in a form of a colorless gas. An acceptable indoor air quality (IAQ) for floorings and other products, to be considered environmentally safe, should be below 0.10 ppm according to the emission standards of World Health Organization. If a supplier claims that their product contains zero formaldehyde, be skeptic about it and ask for proof, such as third party certifications. As stated above, almost all plants contain naturally occurring formaldehyde. So, it is best to check if the material has no urea formaldehyde added instead of having zero formaldehyde. But if you want to be on the safe side, Ecotimber and Teragren offer bamboo products that have minimal or no formaldehyde emission. Look for a credible certification. The Forest Stewardship Council (FSC) is the only organization that is internationally recognized by environmental groups. The FSC certifies that a flooring product is harvested sustainably by monitoring the manufacturers’ compliance with their standards in preserving forests, ensuring that the trees are collected accordingly to their time of maturity and that the workers receive a fair wage. However, many companies abuse the FSC logos and fool buyers into thinking that their products are credibly certified. Check the actual box and the line item of the receipt for the trademark logo of FSC, and then you’ll know you’ve got the right one. Also, the receipt should have the Chain of Custody Number (COC#) of the manufacturer or seller. There is a broad variation of ‘eco-friendly’ flooring, and each has a different set of specifications. A floor may just cost you for about $2 per square foot, but the delivery, the installation costs including all the materials needed for the installment, the finishing costs and the cost of floor protectors are completely different stories. In many cases, your subfloor may need modifications. Moisture problems and homes with radiant heat also require additional costs for a particular flooring to be installed. Not all floorings are equally created. Bamboo, for example, is manufactured in a variety of ways. Therefore, its quality and price also exist in vast differences. In bamboo floorings, the criteria for evaluation and comparison may include: the harvesting procedure, hardness rating, finish, overall VOC and formaldehyde content, warranties and certifications, and the prices. Read and follow manufacturer’s instructions carefully. When purchasing, it is a wise practice to go through the manufacturer’s instructions. Floorings usually require specific conditions such as moisture free and level subfloors which may cost you further fees. 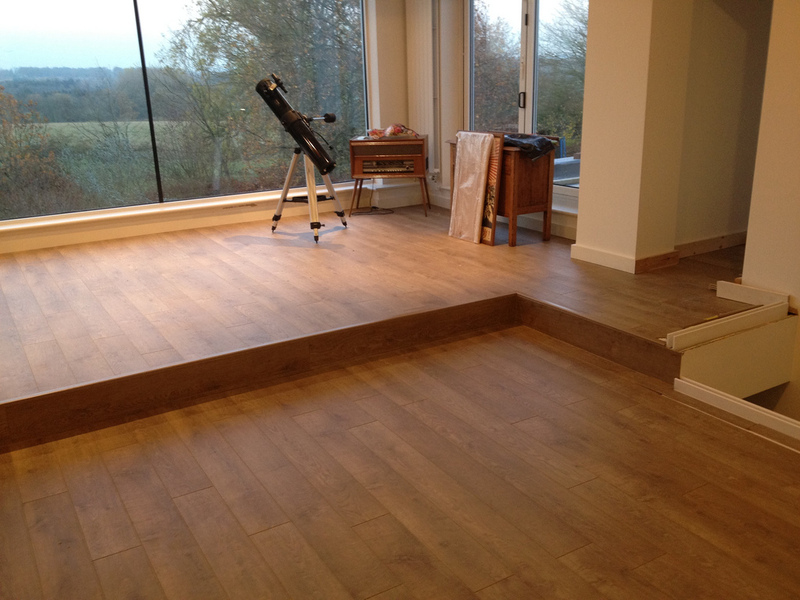 Some flooring may not be suitable for use in your home, and extra work may be needed for the floors to fit in. Also, reading the instructions tells you the recommended materials for the finishing and maintenance of the flooring. Not doing so will result in flooring failure. Redesigning a kitchen in this market can surprisingly cost from $7,500 to $55,000, and that’s a lot of money to spend. If you want to remodel your kitchen but don’t have the budget for it, you can still create easy and affordable improvements in your dull and old kitchen. You don’t have to spend thousands of dollars on making impacting and noticeable changes to your kitchen. A small and eye-catching change would do it. What makes a kitchen look dull is how the color just doesn’t seem to blend with the rest of the kitchen’s color. Repainting the kitchen cabinets can change the look of your kitchen a lot especially if you pick the right colors to combine. Standard colors that are said to help improve appetite are a combination of copper red, orange, dark red, and pink. Getting new handles and pulls is a noticeable change in your kitchen and it’s the quickest change you can make. When you choose handles and pulls, don’t get ones that are personal and “cute” because you’ll get tired of them fast. 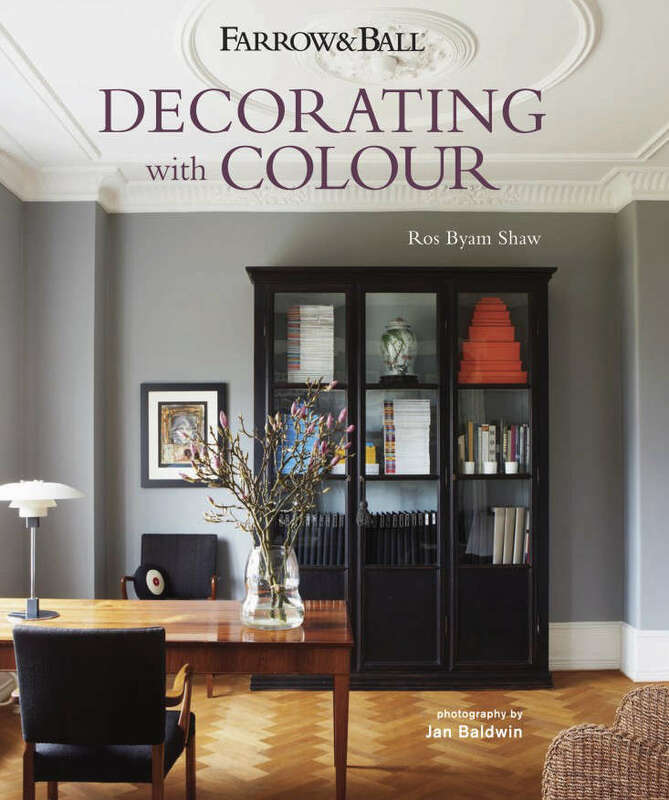 If you don’t have time to paint your cabinets, why not repaint a single wall and make it a few shades darker? Interior designers usually refer to this as a wall accent. Glass paneled cabinets might be the huge upgrade your kitchen needs. It gives your shelf an elegant display and makes your plates and bowls an exciting addition to the decor. You can also remove the doors to give your kitchen a lighter space. These small appliances are the best decorations you can put in your kitchen like brightly colored toasters, mixers, etc. They’re small, light, and easy to move around. Colorful light pendants look good in any kitchen. They’re functional and at the same time decorative. Aside from the design of your pendant lamp, the way it lights up the room can transform the kitchen. Curtains can add color to your kitchen but in choosing one for a window near the sink, choose Roman shades rather than fabric curtains that can break from water splashes. Roman shades are easy to pull up when it’s time for you to use the sink. Replacing your countertops aren’t expensive, and they can make your cabinets look much better. Laminating would only shed you a few hundred dollars, and they have a lot of designs to choose from including ones that look like real stones. A backsplash is not only a beautifying attractive addition to your kitchen but also very useful in preventing hard water deposits. However, they may be a little pricey, but a great alternative to this is glossy paint. The glossier, the more resistant to water. Rugs are stylish and functional. They can absorb splashes on the ground and at the same time help add color to your kitchen. By communicating with your designer before the commencement of your home’s renovation process, the smoother and easier you will find it is to renovate your home completely. Take time and consider what specifics you expect to implement during and after your home renovation process. By so doing, you are guaranteed of saving both money and time. Both of which are rare resources in this case. You will need to ask yourself some questions each time you think of renovating your home. What budget do you have for the entire process? It is essential to ensure that the renovation process is well within your budgetary capabilities. Your budget should include, and not limited to the contractor’s fees and tax. Do you have a budget that can accommodate any abrupt decisions that may arise at any given point in time? Which specific rooms in your home require renovation? This question appears to be the simplest among all these. It is equally important to be prepared in advance and figuring out which specific rooms need renovation. Early preparations mean a smooth home improvement process. Style only means the design style that you have always wanted to try. The method used would greatly depend on your personal taste and preference. What is the use of the room you want to renovate? The desired use of the chamber you would wish to restore is a determining factor. An example of this would be your living room. If you want to create a recreational room where the whole family can get entertained, then you should think of a design that includes increasing space to that which is already available. Is each and every spot in the house accessible? Accessibility is important especially when some of your family members are disabled. You should be able to determine whether you will stay in that house long enough. Always consider the fact that at one point in time, mobility around the house could become a nightmare. It is, therefore, important to ensure that you settle on renovation designs that will favor everyone in the family. Is sustainable design of any importance to you? Increased energy efficiency and sustainable designs are good for the environment while at the same time cost-efficient in the long run. It is arguably important to understand that there are the possibilities of any trade-offs even before you begin renovating your home. The color you decide to use during your renovation process is necessary. Factors such as the size of your home or budget will determine whether you use one color all through or blend up some colors to come up with the perfect combination. It is important always to ensure that your designer is well informed of the colors you would like to use. Do you have any storage requirements? The decision and choices you make with regards to storage space arise from some other questions. What do you plan on doing in the renovated area? How much property do you have regarding furniture and appliances? Storage needs are therefore essential to consider every time you think of renovating your home. The floor is most likely the first thing anyone would notice when he or she steps into your home. It is, therefore, ideal that you ensure your designer familiarizes himself with the flooring type you like and love. There is a broad range of flooring options that you could choose from including hardwood flooring, stone flooring, porcelain, engineered wood and much more. What are your favorite materials? 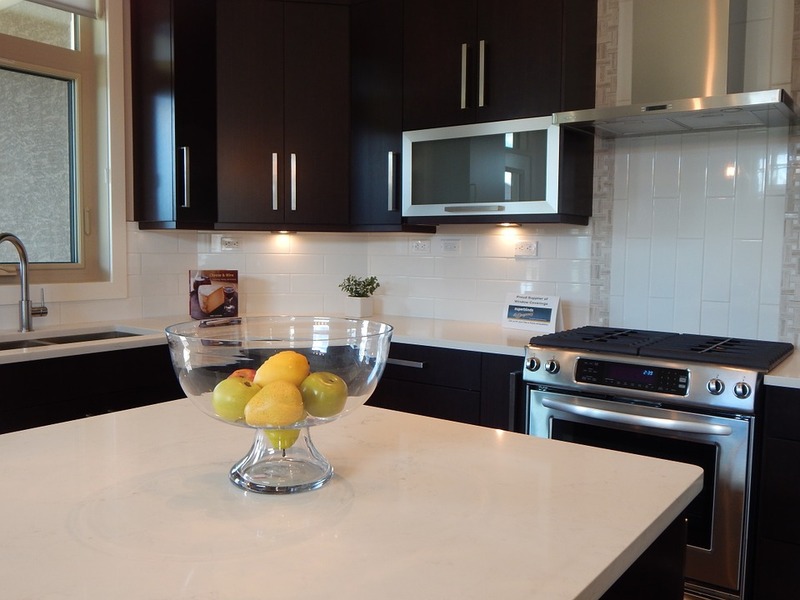 Whether you prefer shiny, sleek surfaces, glass and lacquer surfaces, or subtle matte finishing would affect the material you decide to use during the renovation. How many homeowners often ask themselves; what design would be most appropriate because you have a small space? Well, this article is set to highlight some of the most amazing kitchen designs of all time, even with a small space. The kitchen is a fantastic joint in the house where you can laugh, cook, eat, spend quality time, and even pay a bill. It is, therefore, ideal that you ensure there is adequate space to sustain and accommodate everyone. If you only have a limited kitchen space left, ensure that you conduct proper planning to maximize the available space. Cozy Finishing and glossy hyperbole are what makes it stand out. Executed for Doug Atherley’s apartment in the Ritz-Carlton exhibition in Chicago, the designer cleverly split it into cooking and eating sections using a gorgeous middle island. Long windows and doors illuminate the breakfast area. 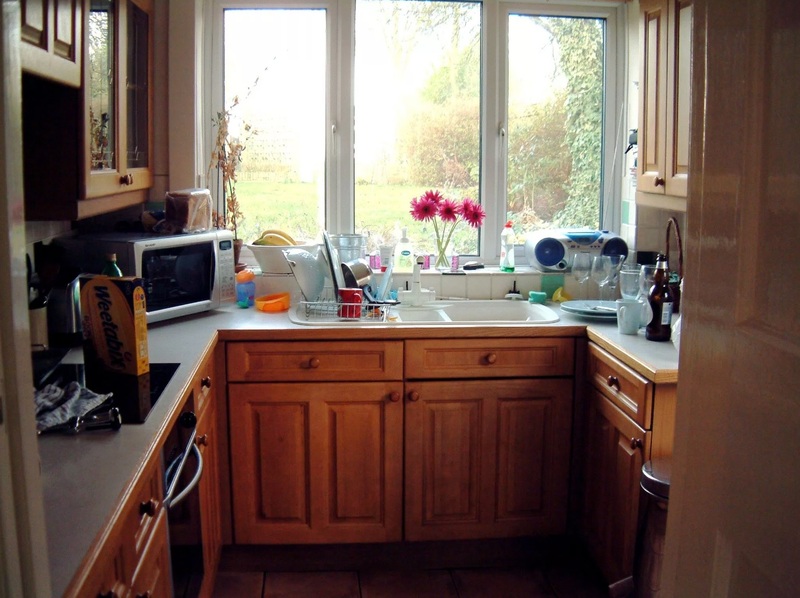 The vast center space provides extra worktop space for food preparation and storage. In totality, the shades of white and powder blue maintain a bright and fresh mood. This particular kitchen’s white-and-yellow palette holds much more light that surges through the breakfast room’s connecting windows. Recessed-board, Shaker-style cabinetry allows for continuity along the kitchen’s limited length, while a limestone floor underneath stretches out into the breakfast taking area. The clumsy design of this particular New York condo did not act as a barrier to engineers David Thiergartner and Benjamin Bradley from coming up with a useful kitchen that is at the same time pretty. The ugly bolster divider camouflaged conveniently by adding racks. The Atlanta kitchen has a sharp redesign that is fresh in the market. With a gray tone, this kitchen appears to be perfect thanks to its fantastic stainless-steel finishing. With reflected backsplashes and stainless-steel boards behind the range hood mirror, light sneaking from outside makes the room feel open. Add vertical space by using tall cabinetry and range hoods. This kitchen redesign involves moving your laundry to the far end of your house so as to allow for ample kitchen space. Checkerboard floors with graphic black and white color schemes are both elements that make your kitchen appear bigger in size. This kitchen design has a lot of space. You do not have to sacrifice one thing or the other for you to have enough breakfast area. The olden day kitchen style. The high ceiling and galley layout gives a designer the freedom to use surprising elements that would visualize the room to be larger than it is. A large mosaic clock with metallic hands hanging just below the kitchen range would be an immediate focal point when you enter this kitchen. You will most likely get the urge to touch the floor, brick, and polished marble. Consider using any one of these tips and ideas when thinking of an idea to design your small kitchen. You will like the look. 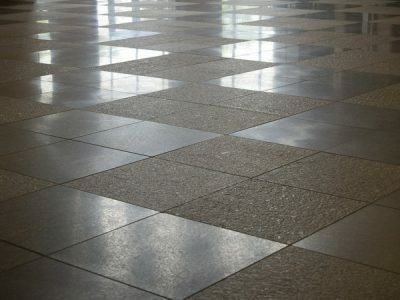 Even though this type of flooring is made from stone, it does not mean that it can withstand just any cleaning method. You need to take extra care when cleaning a granite tile so as to maintain its original beauty. Highlighted in this article are some tips each and every homeowner with granite tile flooring installed should do. Any spills on granite floorings should be blotted and not wiped. Wiping will only push the spill into small cracks and spaces in the stone. You should not use a wet mop on newly installed granite flooring. By doing so would assist you to avoid any damages likely to occur on the floor. It is, however, possible that noticeable streaks would appear as a result of spreading any remaining dust. You are therefore better off using an untreated dry dust mop or a vacuum cleaner. Avoid the build-up of dust by ensuring you stick to a daily routine of cleaning the floor. It would reduce the number of thorough cleanups on the floor, thus maintaining its original beauty for much longer durations. It also maintains the cleanliness of your grout which is the most difficult aspect of installing granite floors. If the need to clean your granite flooring becomes mandatory, you can opt to use cleaning substances that have a balanced pH value. You do not need to go extra miles with commercial cleaning products as they may turn out to be harmful to your floor. Such commercial products can quickly destroy your floor by leaving behind noticeable streaks and a grainy feel. Always ensure that you wipe off any spills thus not allowing it to be dried off by air. Granite flooring requires regular buffing. In the event you do not have a buffer, you should think of investing in one. You can buy that eventually if you don’t want it right away. Small rooms, however, can be buffed using a dry cloth and good ole elbow grease. A granite flooring that has sealer coverings will need particular attention to instructions provided by the product’s manufacturer. Always ensure to use that the right sealer product is applied to your granite floor. Do not believe in hearsay or what the salespersons tell you. The first thing you should do is to research and understand how sealer covered granite floors are cleaned to avoid any unnecessary damages. It’s only a tip of the iceberg when it comes to the proper care of and maintenance of granite floors. Some of the procedures highlighted have over time proved to be more complicated than others. By adhering to these tips, you would be making an assurance to the fact that granite flooring lasts longer than many other flooring options which are sold in stores today. The Creamery Club Room and Rooftop Patio event space hosts one of a kind views on the downtown Kansas City skyline. A perfect setting for a memorable event whether it’s a work function or graduation party, Happy Hour, Wedding, they do it all!